There are many parts of your daily routine. When you grab your coffee, you may chat with the cashier. You may welcome your mail-woman everyday as she drops off your letters and packages. We all have casual interactions everyday but sometimes we forget that everyone has a story. Everyone has been through something unique…inspiring…even heartbreaking. It is with that thought in mind that we think of OUR gym. This is a place with much more than just casual interactions, this is a place where friendships extend far outside the gym walls. It is a special place that is filled with special people. We want to share our stories. Blunt Force will always be a place where strength lives but more importantly it is a place where community lives. You may have met Korrie Sedgwick. I remember the first time I did, in fact I will never forget it. I was so startled by her level of energetic encouragement I almost dropped a dumbbell on my foot. I had never met Korrie but immediately picked up the dumbbell and started to go…I mean GO. That is the type of person Korrie is, her positivity and encouragement are infectious. She makes you feel valued just by stopping and having a conversation with you. You feel special after every interaction. What an amazing trait (superpower) for someone to have. Korrie has a story, a really fantastic story. I asked her how long she has been going to Blunt Force and why it is such a special place. Blunt Force does feel like family. Maybe it is the moments you share together. Getting up at 5 a.m., sled pushes, and marathon runs will do that to a group. To harken back to what Korrie described, I have always felt that Blunt Force was a team. A team that supports each other. Now I am getting ahead of myself. I asked Korrie about her story and how we as Blunt Force(rs?) can support her…. “March of 2017 I was watching the morning news and saw twin sisters from Longmont named Aubree and Kaylee that needed a kidney. Their story inspired me so I googled how to donate a kidney…I was going through the process of donating as a non-directed altruistic (which means to a complete stranger). I am a mail-woman so I happened to tell a customer on my route about my decision. Believe it or not, he knew someone that needed a kidney. He put me in contact with Rachel. We hit it off immediately as her first question was, “What is your blood type and will you give me your kidney?” We were a perfect match! This Saturday Korrie will be a part of the event “Courage and Compassion” hosted by the Go Save a Life Foundation. The show is using fashion to bring awareness to living organ donation. 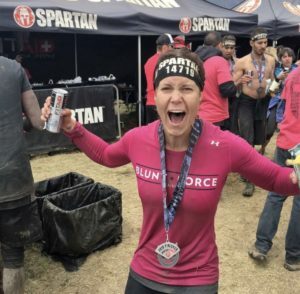 It doesn’t take a hero to support our friends and we would love to have our Blunt Force Family come together and support one of our very own, Korrie Sedgwick. Oh, and next time you are in the gym, start a conversation with someone you may not know. Who knows what stories they have for you. Information for the event “Courage and Compassion” can be found below. Fill out the form we’ll call you back.